When you fork someone’s repository on GitHub, you’ll want to update your fork with any changes made to the original. There are various ways to do this. In this quick tip, Shaumik describes how to update your fork via the command line. Another option is to update your fork via the GitHub web interface. Git is a distributed version control system, which means that each copy of a repository is complete with its own history. GitHub, on the other hand, is an online collection of Git repositories. GitHub introduces the concept of forking, which involves making a copy of the main repository. To understand the concept of updating a fork, one must first know why this is necessary. An organization can’t grant every potential contributor write access to its main repository, so the public can only view the central repository. A fork is a copy of this repository that a user can create. Users have read and write access to their own forks. Normally, programming happens on a local machine (or a VM) instead of the GitHub interface directly, so a clone of the fork will normally be created. Once a contributor has made a commit to a local copy, it then needs to be pushed to the fork on GitHub (which is possible due to the write access). 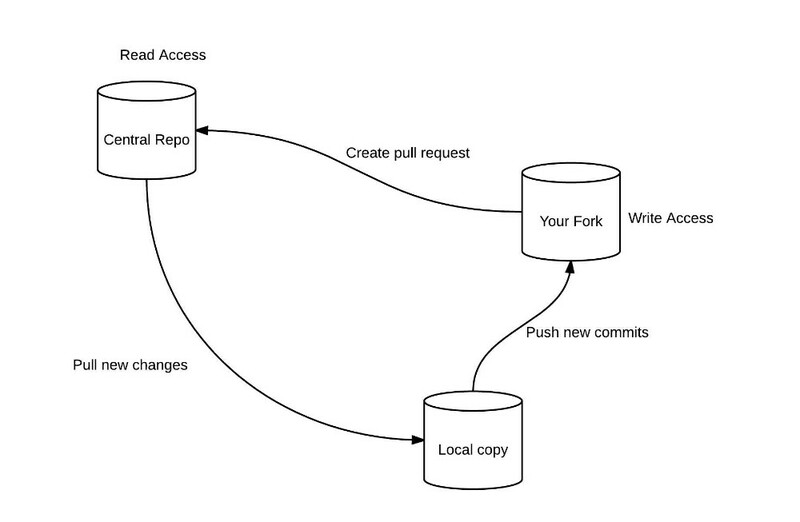 Then, a pull request is created from the fork to the central repository. When the central repository is updated with someone else’s code (after the fork was created), these new commits do not magically appear on the fork. One must first download and merge these changes with the local repository, and then push it to the fork. For legacy reasons, in our local repository, we name the central repository remote as upstream and the fork as origin. Ideally, you should never make any commits directly to the master branch of your fork or the local repository. This branch must only be used for keeping the updated code from upstream. All changes must be made to new feature or bug branches, and pushed to the branches with the same name on the fork. These steps assume that you have forked the repository and cloned the fork on your local machine. 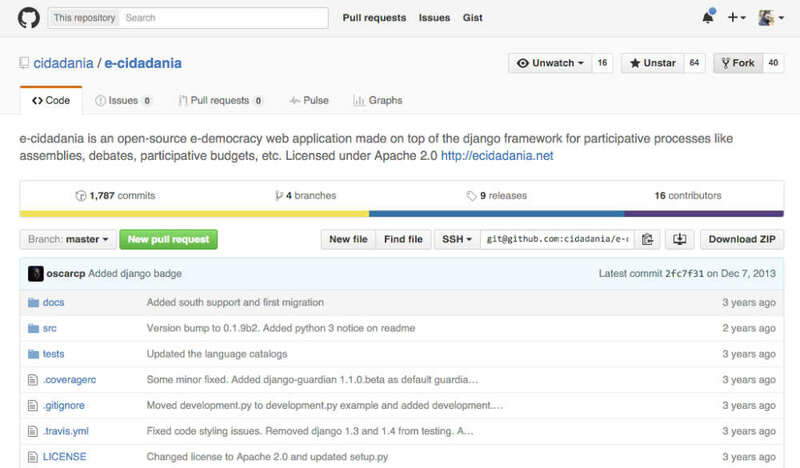 For demonstration, we’ll be using the repository of e-Cidadania on GitHub. To fork a repository, you need to click the fork button (top right part of the screenshot). This command updates your master branch from the upstream remote. Compressing objects: 100% (381/381), done. Writing objects: 100% (739/739), 219.66 KiB | 0 bytes/s, done. To confirm that the changes have been updated, visit the fork’s page on GitHub again! 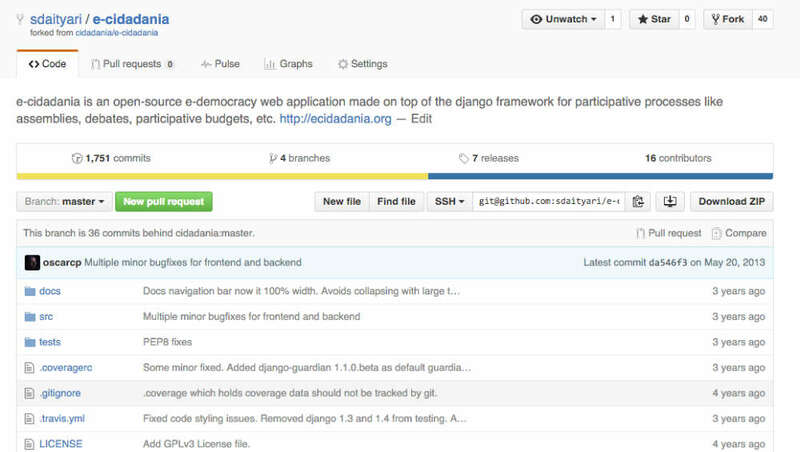 The message This branch is even with cidadania:master shows that the commits have been added to the fork’s master branch.